Home » Knowledge » How does Now Playing Feature works in Google Pixel Devices? Smartphones are now integrated with a lot of remote features which are aimed to make things easier for the operators. However, Android is a highly customizable mobile operating system which tends to support more features. It is not apparent that your Google Pixel device can detect quite a lot of things that happen around you and give you more details about that. Mainly, this article will discuss how the “Now Playing” feature works on Google Pixel devices. This feature was introduced in 2017, and it is compatible with only Google Pixel smartphones at the moment. Hopefully, the function will be extended to other Google Android devices. But, what does this feature implies, how does it work? Frankly, this is a unique feature that every pixel smartphone user would enjoy. It works by merely recognizing the songs playing around you and gives you more info about them. This means that if you don’t the name of the music playing around you, with the help of this feature, you’ll get to know that. Also, it will display the song artist name. Still not clear about this? Okay, the “Now Playing” feature is a new feature which is seen in Google Pixel 2 series, it is also available in Pixel 3. 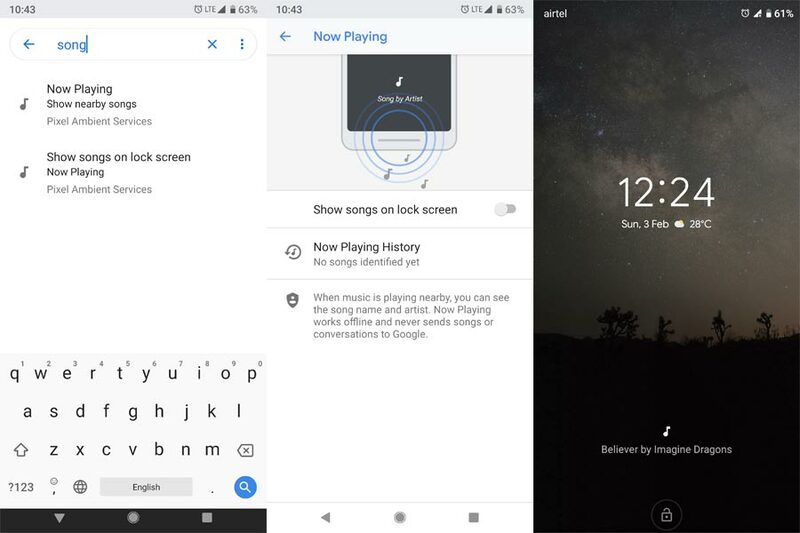 The feature allows your Pixel smartphone to recognize any song playing in the background where you are and display the music info on your device screen. It works even without an internet connection which makes it more interesting to use. What is this Now Playing Feature? “Now Playing,”- Enable this feature to display the name of the music playing around you alongside the artist name. Well, we have seen quite some “intelligent” apps and services that can do similar functions such as this, but, the intro of this feature eliminates the need to install a 3rd party app for obtaining the necessary information about a song playing in the background. Even, apps with such support rely on your device mic to record some part of the music, then, it searches through its database to detect the info of the music. However, Google has made things easier and faster. 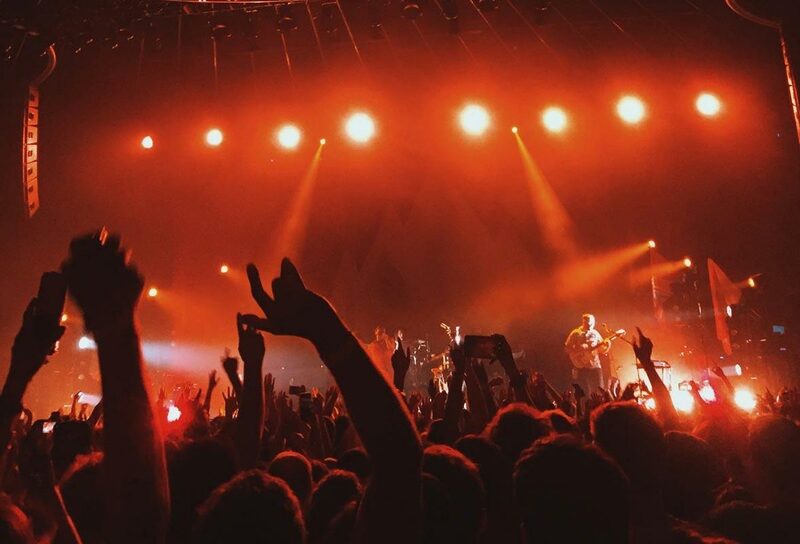 You won’t have to launch an app and request for it to record background music and display the song name for you. Honestly, if you’ve used apps such as SoundHood or Shazam to detect song information, then, you’ll agree with me that it is somewhat tedious. However, once you activate this inbuilt feature on your Google Pixel smartphone, it works more directly, and it doesn’t require an internet connection. So, when you hang out with friends or maybe when chilling out at a bar and a cool jam is playing on the background, your Pixel device will automatically detect the music and show you the name of the song alongside the artist name. How does “Now Playing” works on Google Pixel? 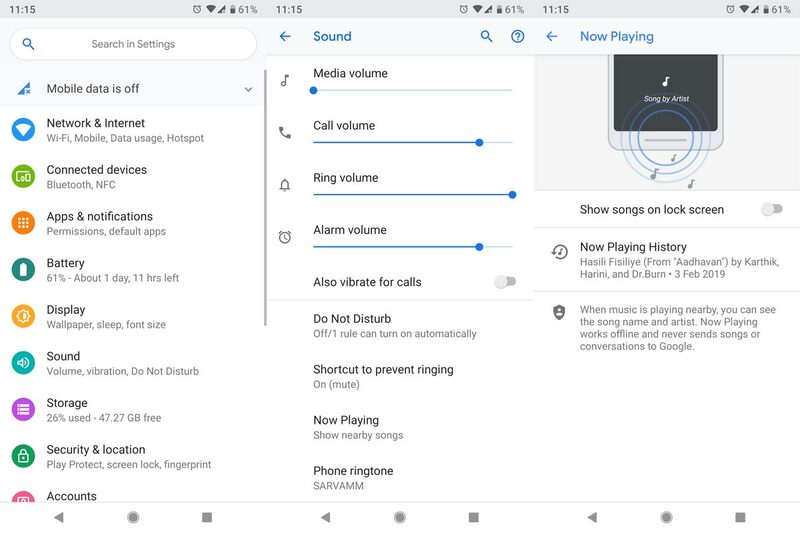 By default, this feature is deactivated on all supported Pixel smartphones so that it doesn’t bug you with constant notifications by detecting every music that plays around you. You’ll have to activate this feature manually if you need it. Once the feature is activated, it doesn’t require any further configurations to go on with its functions. The only “kind of” configuration settings you need is when activating the feature as you need to grant certain permissions to it. So, how do you activate “Now Playing” on your Pixel device? The feature is available in your device settings and here’s how to activate it. Activate and choose a notification style; you can choose to get notified of the detected music on your lock screen or your native notification panel/bar. However, you can activate the two notification styles. Just these few steps and the feature will start working on your smartphone immediately. Also, it comes with logging support, which means you can view a log of all the songs identified by the tech. To access the record, click on the “Now Playing History.” This is getting interesting right? Nevertheless, there are some aspects where this technology is limited. Well, nothing is 100% perfect when we discuss technology, but, we could always cope with them. The database from which this feature detects songs information is limited, being that it only houses tens of thousands of songs in offline. Other apps/services that support similar actions such as this boast of a database of millions of songs. However, the reason for this limited number of songs contained in the “Now Playing” database is acceptable; since it works offline, the larger the database, the more memory it will consume on the device. Currently, this feature occupies up to 400MB storage space, how much more will it consume if the database is increased? Also, It consumes 5-10% extra Battery Percentage. It’s fully functional even without an internet connection, and Google promises that the database is weekly updated on the background once you’re connected to a network. Also, it doesn’t work with any 3rd party app and as such will not bug your smartphone. The logging (history) feature is yet another great thing to talk about. Once the function detects a song, it stores the information so you can view them later on when you’re chanced for that. Furthermore, when you click on the detect music info, you’ll be automatically redirected to a Google Assistant result page for detailed info about the song (this may require internet connection). Everything has a good and a bad side, “Now Playing” is not left aside. This feature is excellent because it recognizes the songs instantly without an internet connection. It’s quite exciting that you’d get to know the music name and the artist name of all the crazy or cool jams being playing in a bar, club, or any place at all. There are alternatives available for Now Playing that can bring this feature to all Android mobiles.